Traditional Jewish apple cake made the perfect addition to a Shabbat dinner or weekend brunch. You know I love making new and interesting versions of traditional desserts: Vanilla Bean Apple Cake; Roasted Strawberry Banana Bread; Mocha Brownies with Espresso Sea Salt; etc. But sometimes, holidays come around or family comes over and you just want the original, unadulterated version. Well, good news for you and me! My friend Liz at The Lemon Bowl has written a series of e-cookbooks that do just that. Her third and latest e-book, Food From Our Ancestors: The Ultimate Jewish Shabbat Dinner, was written with the help of her Ema Ljuba. The two women spent time re-creating dishes that Ljuba has made for Liz’s family for years. The recipes are familiar and approachable traditional Jewish staples like challah (I can’t wait to try this one) and brisket. Of course I chose to make a cake first and I”m happy that I did. This apple cake has the warm familiar flavors of the apple cake my mom made growing up. It’s a cinnamon scented, moist cake with generous layers of apples. Just the way any apple cake should be! The best part? It’s a fairly easy recipe that serves a large group of people and there is no mixer required. All stirring can be done by hand! Traditional Jewish apple cake is the perfect addition to a Shabbat dinner or weekend brunch. In a separate large bowl, whisk together flour, remaining 2 cups of sugar, baking powder and salt. 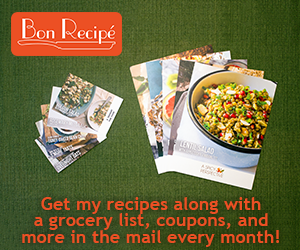 I wanted to ask: do you create your own recipes on your own? I just really like your site and your recipes!